Delta Industries commissioned MGA&D to design a spray bottle to fit its special spray nozzle. The nozzle utilizes proprietary pre-compression technology to dispense viscous liquids without the use of aerosol propellants. 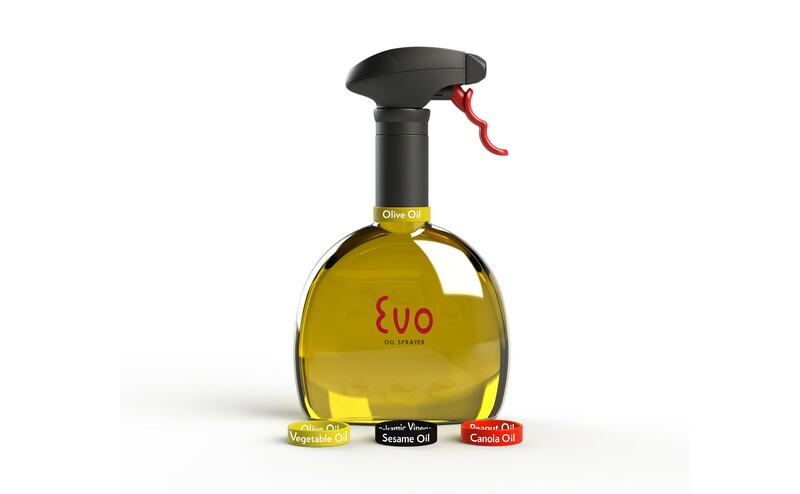 The EVO advanced trigger sprayer can deliver never-before-available atomization of viscous cooking oils. The bottle design seamlessly integrates Delta Industry’s existing sprayer head with the elegant shape of the new body and sprayer lever. 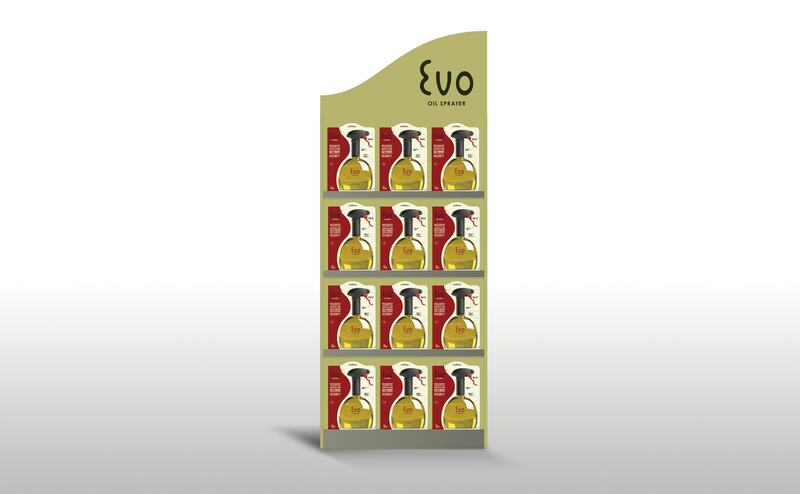 MGA&D also designed the logo, packaging, and point of sale displays. Delta Industries asked MGA&D to transform its industrial sprayer technology into a consumer kitchen product. 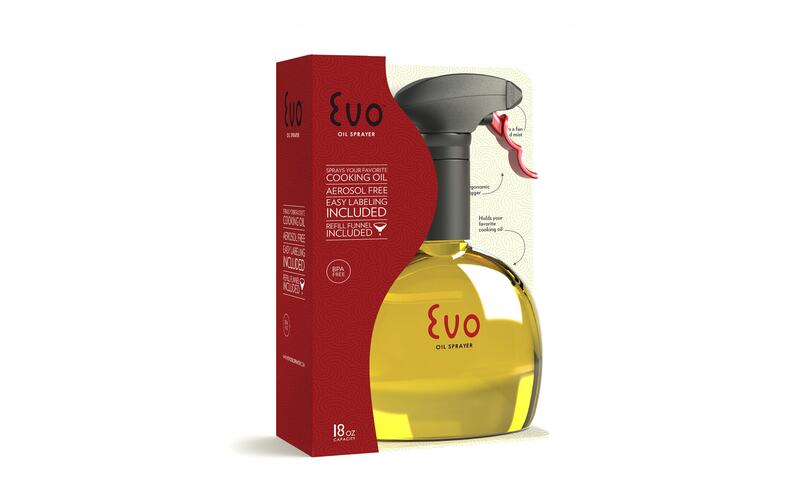 Our challenge was to take a form factor that is affiliated with cleaning products and make it feel like a food-safe product worthy of being left out on the kitchen counter. A study in form, material, and color, our design was the prestigious IHA Innovation Award and helped transform Delta into a housewares company. The MGA&D designed packaging, custom font, and print ads won a 2014 Print Regional Design graphic design award. 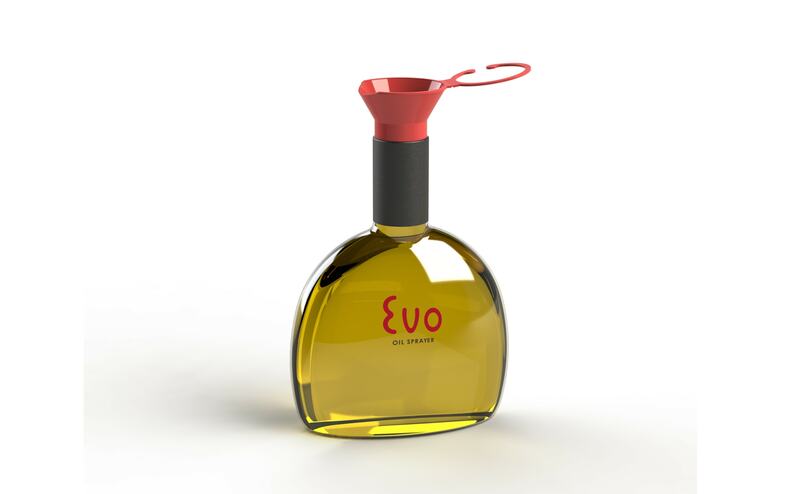 Evo has seen double-digit monthly sales growth during the first 12 months of its launch.